Preheat oven to 375 degrees F. Cook turkey in large skillet until no longer pink, stirring frequently. Add spaghetti sauce, macaroni and Parmesan cheese; mix well. Spoon into 8-inch square baking dish. Bake 10 minutes or until heated through. Top with 2% Milk Singles. Bake an additional 3 to 4 minutes or until 2% Milk Singles are melted. 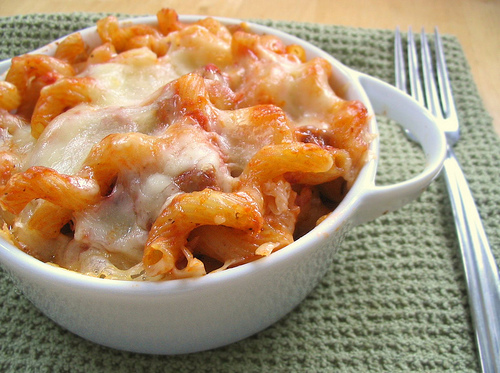 NOTE: Cook 3/4 cup elbow macaroni as directed on package in order to get 1-1/2 cups cooked macaroni.